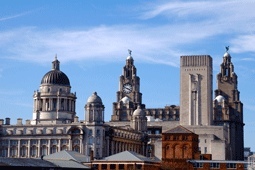 Liverpool is fast becoming one of Europe’s most popular city break destinations. The city was awarded European Capital of Culture 2008, and has moved into the sights of travellers and tourists from around the world. Already famous as the birthplace of The Beatles, the city’s other cultural assets are justifiably touted as some of the finest in Europe. With more theatres, museums and galleries than any other UK city outside London, Liverpool’s history as one of the world’s great ports has left a remarkable legacy of art and architecture that gives it a distinctive look and unique atmosphere. 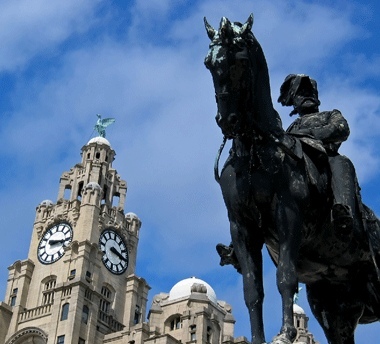 Liverpool is also one of the world’s great sporting cities with horse racing at Aintree and Haydock, 40 golf courses – seven of which are Championship standard, including the Royals Birkdale and Lytham – and Liverpool and Everton Football Clubs. 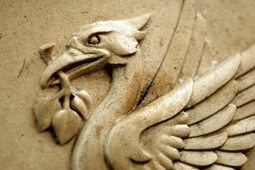 So if it’s Penny Lane, Premiership football or Europe’s finest culture you’re looking for, it has to be Liverpool. Modo, 1 Concert Square, Liverpool. Big comfy sofas, pint-sized cocktails and a menu with shrimp, skewers and burgers – as they say themselves, lip-smackin’, thirst-quenchin’, belly-fillin’, prize-winnin’……..modo. The Living Room, Victoria Street, Liverpool. Always featured on the ‘where to go when visiting Liverpool’ lists, the Living Room continues to deliver good food and excellent service. Camel Club, 18 -22 Wood Street, Liverpool. Located above Revolution Bar and tucked between two other venues on Wood Street, it's not easy to locate Camel Club, but walk up the stairway to its first floor and you'll be glad you did. When fashion bible Tatler re-branded the city ‘Livercool’ they were simply stating what everybody knew – Liverpool does style, and it does it better than anyone else! Vivienne Westwood recently opened a store to add to the ranks of boutiques that have set up shop in the trendy Cavern Walks. A favourite with Sophie Dahl, the trendy precinct has shops galore selling the latest couture from Milan, Paris and New York. 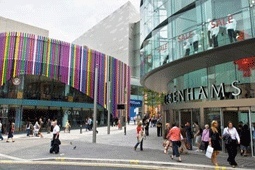 Further on down Mathew Street are two of Liverpool’s fashion institutions, Wade Smith and Reiss. At Wade Smith, one of the most successful of all Liverpool’s designer stores, you’ll find footballers, pop idols and soap stars all looking for the latest Gucci and Prada. Selling its own products, the Reiss clothing range is so cool you may even need to buy a jumper in summer. Onto Bold Street, and after you’ve spent your money in Karen Millen, Monsoon and Kookai, you will once again find voguish emporiums. Halfway up Bold Street you will find the shop known as the Harrods of Liverpool. Jeff’s of Bold Street stocks clothes from top designers including Medici and Joseph Ribkoff. John Lennon Airport is located 7 miles from Liverpool City Centre. A hackney rank is located directly outside the entrance to the airport terminal. The Airlink 500 coach service operates every 20 minutes, Monday to Friday daytimes, and every half an hour during evenings and weekends. The one-way fare for adults is £2.50, and only £1.25 for children. City Centre stops include Norton St Coach Station (for National Express connections) and Lime Street Station (for local, regional and mainline rail connections).